Gauge pressure ranges : 52, 105, or 210 MPa (7500, 15,000, or 30,000 psi). Digital output signal : FoxCom digital and 4 to 20 mA dc output signal; HART digital signal superimposed on a 4 to 20 mA output signal; FOUNDATION fieldbus digital signal, 31.25 kbits/s. Remote Communications : FoxCom, HART, or FOUNDATION Fieldbus Remote Communications must not interfere with the output signal. RFI Protection : 0.1% error between 27 and 1000 MHz at 10 V/m field intensity. Proof Pressure : 1.5 times Full Scale Pressure Range or 140 MPa (20,000 psi), whichever is less, for the 105 MPa (15,000 psi) transmitters; and 1.2 times Full Scale Pressure Range for the 210 MPa (30,000 psi) transmitters. Process Connection : Direct to process piping: 1/4-18 NPT internal thread is standard for the 105 MPa (15,000 psi) transmitters; and 9/16-18 internal gland thread (conforms to Autoclave Type F250C) is standard for the 210 MPa (30,000 psi) transmitters. Sensor Materials : 15-5 ss and Inconel X-750 for the 105 MPa (15,000 psi) transmitters; and 13-8 Molybdenum stainless steel for the 210 MPa (30,000 psi) transmitters. Electronics: Enclosed in a NEMA 4X (IEC IP66) housing sealed with O-rings for double protection against moisture or other contaminants. 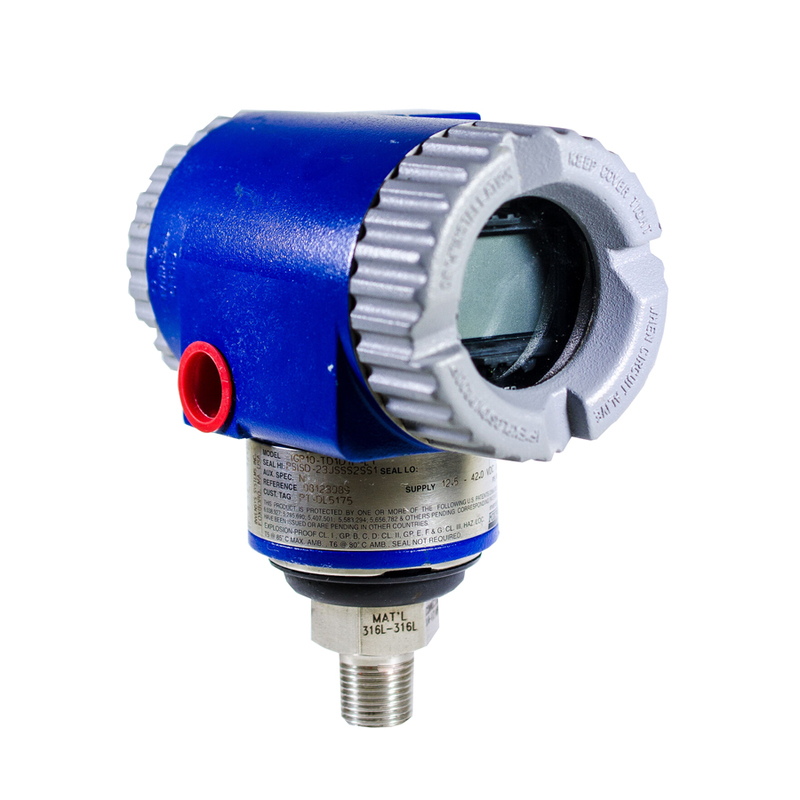 Integral LCD Digital Indicator with on-board configuration pushbuttons; standard with analog output transmitters, and optional with digital output transmitters. Mounting : Direct to process or bracket mounted to pipe.